The U.S. Census Bureau plans to hire hundreds of full-time, temporary employees in Metro Detroit for the national population count taken every 10 years. Recruiting and screening aren’t affected yet by the federal budget impasse keeping about 380,000 workers off their jobs. “The Census Bureau has six to eight weeks of carryover funding to stay afloat during a partial government shutdown,” according to the government affairs director at an affiliated organization, the Population Association of America. 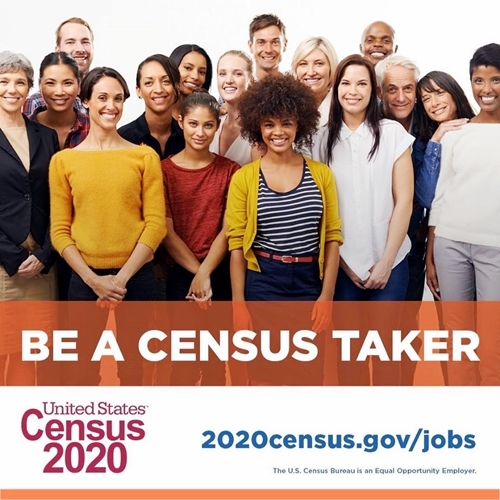 “There are staff working at the Census Bureau as we speak on activities related to the 2020 census planning,” the official, Mary Jo Hoeksema, tells the Federal News Network. Submit a profile and application. Former service members can claim veterans’ preference with documentation. The U.S. Office of Personnel Management has details here. If you hit a snag, call (855) 562-2020 and select option 1 for technical assistance or option 3 to speak with the local census office. It may be several weeks or several months before hiring begins in your area. The good news is that your application can remain in the applicant pool for the entire 2020 Census cycle. . . Whenever the Census Bureau has openings in your area, there may be potential for your application to be considered. This article originally appeared online at Deadline Detroit.